It’s no secret that mobile homes have a terrible reputation here in America. Yet, over 20 million people live in a mobile or manufactured home. I’ve started this blog, Mobile Home Living, to help put some of the stereotype myths of mobile homes to rest. In addition to educating the public about our homes, I hope to inspire other homeowners with gorgeous examples of remodeled mobile homes and include a bit of mobile home repair help. In short, I hope Mobile Home Living will become the Better Homes and Gardens for mobile homes! I see the need for a mobile home magazine. After my husband and I purchased our 1978 single wide last year I searched Google for mobile home remodeling ideas but found very little. That’s how I came up with the idea of Mobile Home Living. I think there’s a need and the worse that can happen is a little wasted time. Stereotypes are part of life here in America. We conscientiously stereotype everything whether we mean to or not. The majority of these stereotypes are remnants from the past when information was a bit harder to get. We took other people’s opinions as fact without knowing any better – who could prove the information wrong, after all? We have stereotype myths for older men driving sports cars, younger women that marry older men, rich people, and poor people. All of them have some sort of classification or name attached to them at first sight. It’s not fair to judge anyone and more often than not, the stereotype doesn’t apply. Mobile homes are an excellent example of what I call ‘heard it through the grapevine’ opinion. Most people that have a negative opinion about manufactured housing or use the term trailer trash have never even been around one. They simply heard from friends or family that they were terrible homes and only poor people lived in them. Of course, the media doesn’t help at all. They love a negative mobile home story. Fires and crimes in mobile home parks make the first page of a newspaper. Similar crimes occur in gated communities but you rarely see it. 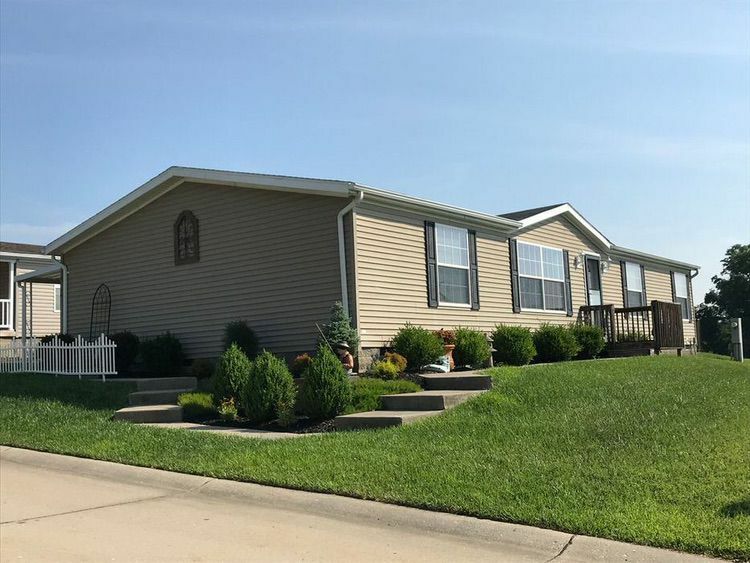 The journalists use the negative stereotype of mobile homes to their advantage because we love to have our opinion, no matter how wrong, reinforced. I would love to change the stereotype of mobile homes and help the world learn the truth about our homes. I asked a few friends what ‘Trailer Trash‘ meant to them. Their answers surprised me. Instead of it being a general term for all mobile homes and owners it was reserved just run-down mobile homes that were not cared for. Their image of trailer trash was a dilapidated trailer with washing machines in the yard and broken windows, not a manufactured home that had been maintained and decorated nicely. There’s been a little written regarding how the stigma of mobile homes began. In fact, I’ve written an article about the history of mobile homes during WWII and how that perpetrated the poor image of the homes. An article titled Immobile Dreams: How Did The Trailer Come To Be A Symbol of Failure is a very good read. Another, a feel-good article about how a park is fighting the stereotype myths of mobile homes is at CTPost.com. I think by simply proving the stereotype myths wrong we can get rid of it. No sense in harboring ill will against those that simply aren’t educated on the topic and that’s exactly how the stereotype perpetuates. Once we show the truth about the homes and the true potential they have, then we can make the stride in removing it, and that’s exactly why I’ve started this site. I hope you join me as we find our voice. Thanks so much for finding Mobile Home Living! I have been on here reading all day. It’s a Saturday. Thanks a lot. I grew up in a 1974 Homette 12×70 singlewide. At first, in a park–large, almost 200 home sites… then my parents moved us out in the country on 2 acres of land. My parents ripped up all the flooring in the kitchen and living room and had real plywood cut into various widths and lengths stained and nailed down. They ripped all the cabinets out, tore out the small dog-house bedroom and made that part of the new larger kitchen/living area and built a huge bar. They added a 2 car garage and off the front (former master) bedroom a 12×12 addition with its own entry… and added a tub/shower to the toilet only bathroom… and voila, two larger rooms one for each me and my brother. A nice custom deck, concrete walkway, back patio and rear access to the garage … and newly designed bathrooms took a ’74 12×70 and made it larger. But… I went on to college – I have a Masters Degree… my brother works for a private law firm as an IT specialist… we are normal people. Now… I live in 1250sq.ft townhome and all I want is a singlewide or more shocking… even a larger RV will suffice. And I want a little pop up camper to get away. I don’t need much space to be happy and it doesn’t have to be in the nicest subdivision. I grew up living simple, we didn’t have much… but we had family… and that’s all that counts in the end. When we leave earth, we only have our legacy… and the house is usually not part of that legacy. Thanks for your site. I LOVE IT. And I love being a Trailer Park kid! 😉 But I was never Trailer trash. And even our next door neighbor who had 2 old cars beat up in his back yard and an outdoor washer / dryer with a tin roof over top… is a Lawyer. 😉 So… “trailer trash” I don’t think it’s a term that really holds. Great to hear from you Anthony! I have a special place in my heart for Homette’s! I really enjoyed reading your comment and you are absolutely right, there’s no such thing as trailer trash! So glad you found MHL! Hi I can absolutely agree with you, and I think it’s great that you are trying to spread the word about trailer parks not being totally classified in a single stereotype of “trailer trash”. I too own a single wide with one child and my husband, and we live well above poverty guidelines. With it being so hard to get approved for a mortgage nowadays and apartments can be unstable(we got kicked out of 2 different places for having a cat) a mobile home seemed like the best choice. Sure it is small, but it is not even close to a dump. I think we all have a few families in our neighborhoods that we may see the way their home is maintained and judge the whole area to be that way, but there are a lot of normal good hearted people, a lot of people in my park are retired and this was a good choice of living for them. Wherever you go, there will be drug addicts, alcoholics, abusive families, and not only in trailer parks. Some may think that trailer parks have more of these types of people, but from my experience it is like a regular neighborhood, everyone is friendly and helpful, and they don’t live back here because they are poor or scummy, and most of the homes are maintained and look nice. Of course we have a few families that are poor and don’t have all the luxuries in our neighborhood, but I think neighborhoods everywhere have seen a family similar. Thank you for posting this! Great to hear from you Melissa! Love your comment – every neighborhood in the world has a few issues and not-so-great neighbors. Thanks so much for commenting – hope to hear from you again!